MasterCut SM-5DC Pointed Cone Rotary Carbide Burr 1/2" O.D. MasterCut SM-4DC Pointed Cone Rotary Carbide Burr 3/8" O.D. MasterCut SM-3DC Pointed Cone Rotary Carbide Burr 1/4" O.D. 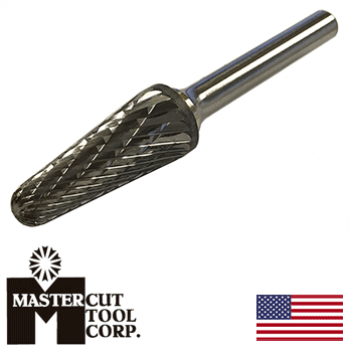 MasterCut SL-4DC Radius Cone Rotary Carbdie Burr 1/2" O.D. MasterCut SL-3DC Radius Cone Rotary Carbide Burr 3/8" O.D. MasterCut SL-1DC Radius Cone Rotary Carbide Burr 1/4" O.D. 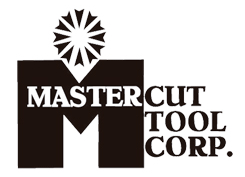 MasterCut SG-5DC Pointed Tree Rotary Carbide Burr 1/2" O.D. 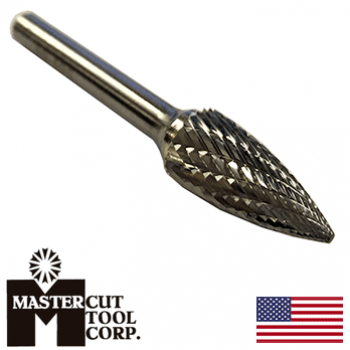 MasterCut SG-3DC Pointed Tree Rotary Carbide Burr 3/8" O.D. 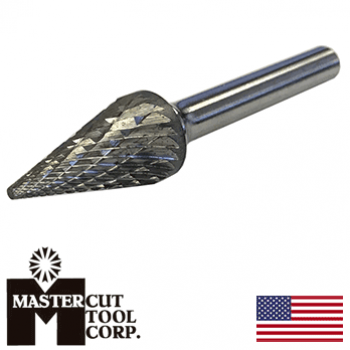 MasterCut SG-1DC Pointed Tree Rotary Carbide Burr 1/4" O.D. MasterCut SF-5DC Round Nose Tree Rotary Carbide Burr 1/2" O.D. MasterCut SF-3DC Round Nose Tree Rotary Carbide Burr 3/8" O.D. MasterCut SF-1DC Round Nose Tree Rotary Carbide Burr 1/4" O.D. MasterCut SE-5DC Egg Shape Rotary Carbide Burr 1/2" O.D. MasterCut SE-3DC Egg Shape Rotary Carbide Burr 3/8" O.D. MasterCut SE-1DC Egg Shape Rotary Carbide Burr 1/4" O.D. MasterCut SD-5DC Ball Shape Rotary Carbide Burr 1/2" O.D. MasterCut SD-3DC Ball Shape Rotary Carbide Burr 3/8" O.D. 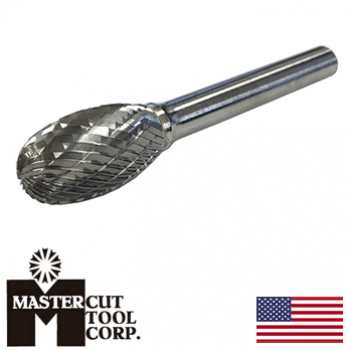 MasterCut SD-1DC Ball Shape Rotary Carbdie Burr 1/4" O.D. 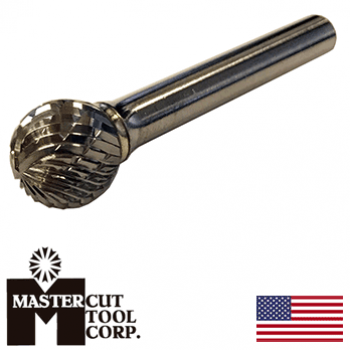 MasterCut SC-5DC Cylindrical Rotary Carbide Burr 1/2" O.D. 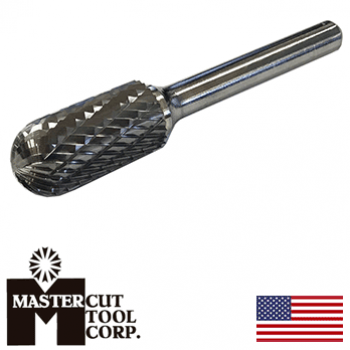 MasterCut SC-3DC Cylindrical Rotary Carbide Burr 3/8" O.D. 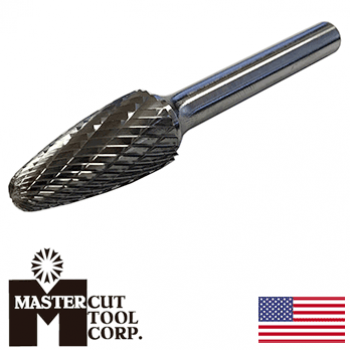 MasterCut SC-1DC Cylindrical Rotary Carbdie Burr 1/4" O.D.